I spent several days guiding photographers this week, two days on the Jones Alta Vista Ranch and two at the Laguna Seca Ranch. 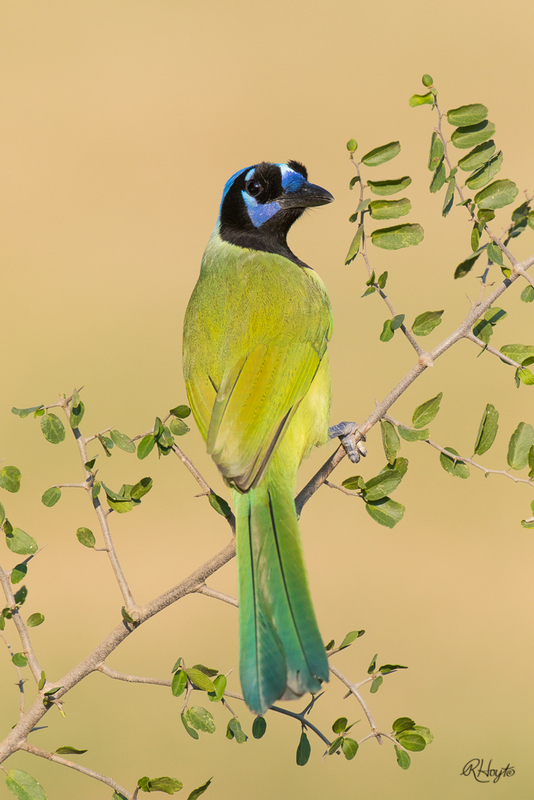 I’ll be sharing what I think are unusual photos from both places, but today I’m starting with two photos I took of a Green Jay at the Laguna Seca. I clipped and set up a native vegetation perch I thought would attract Green Jays and other local birds. As the sun sank lower into the sky, the grassy field in the far background behind the perch glowed shades of light gold and green. The bird appeared out of the brush and jumped down onto the perch, facing away from us. Excited about the photo opportunity but not thrilled with the bird facing away, I made a few images. Suddenly, the jay seemed to notice the sound of the shutters and it cast a glance our way. The magic happened and the composition came to life. My only real challenge is deciding which photos I liked best. Here are my two favorites; let me know which you like best and why. Remember to click on the images to see the full version of the photos! 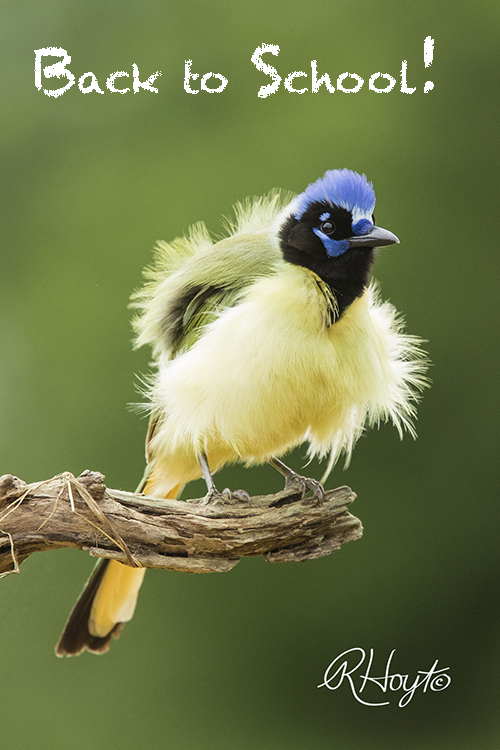 A Green Jay looks back over its shoulder toward the photographers. 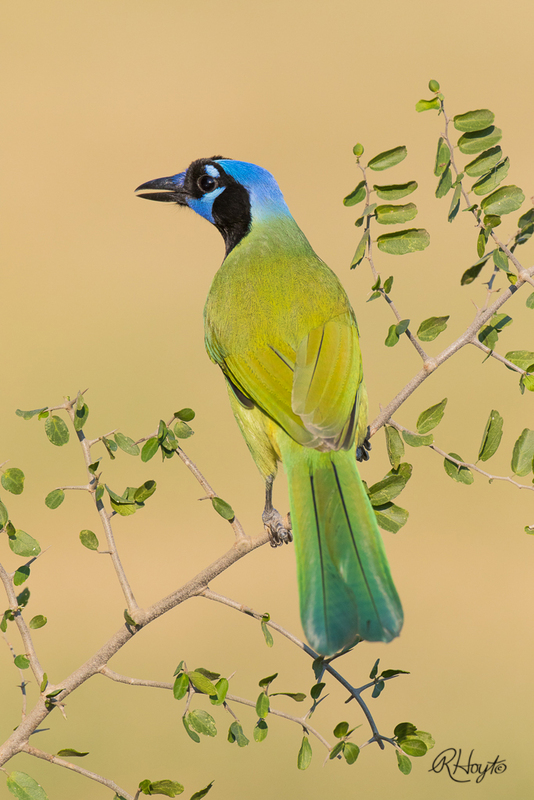 A Green Jay faces away from the photographers, showing the color of its head. I am attending the annual conference of the OWAA (Outdoor Writers Association of America). This year’s conference is in downtown Knoxville, Tennessee, at the city’s convention center. Although cities are not my “norm” as places to spend much time, I took a walk and found a pleasing view of the Knoxville Sun Sphere. I’m enjoying myself, meeting new people, learning a lot, getting ideas and looking forward to tomorrow’s talks and outdoor activities. Be sure to click on the image for a full-size view. 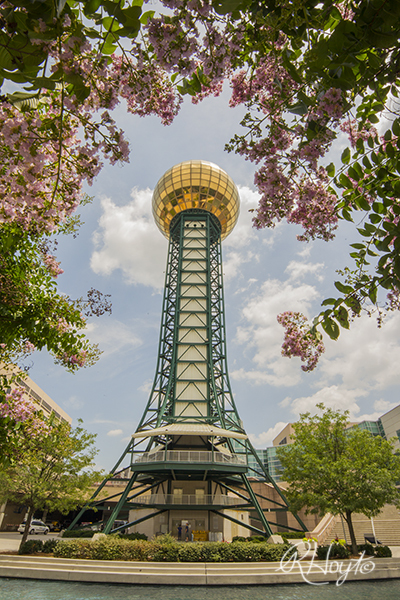 Pictured is the Knoxville Sun Sphere with a frame of pink blooming bushes near the amphitheater. 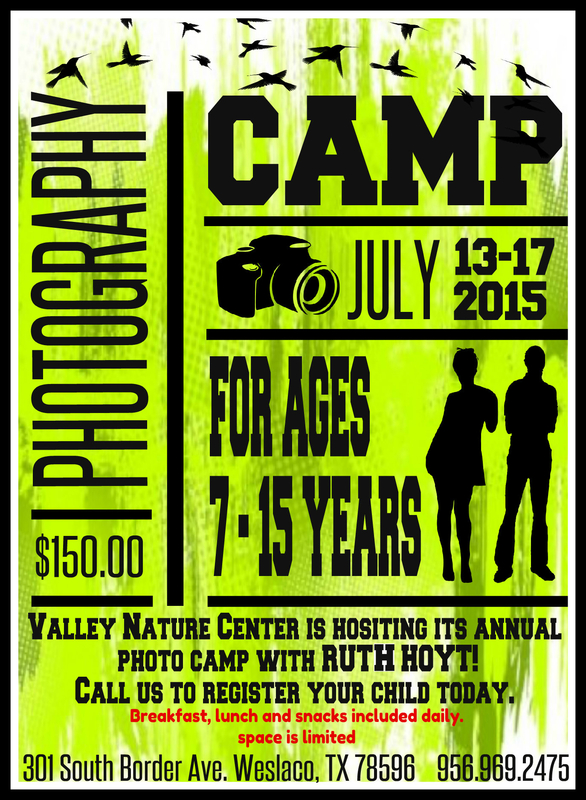 It’s late, the evening of June 15th, National Nature Photography Day! 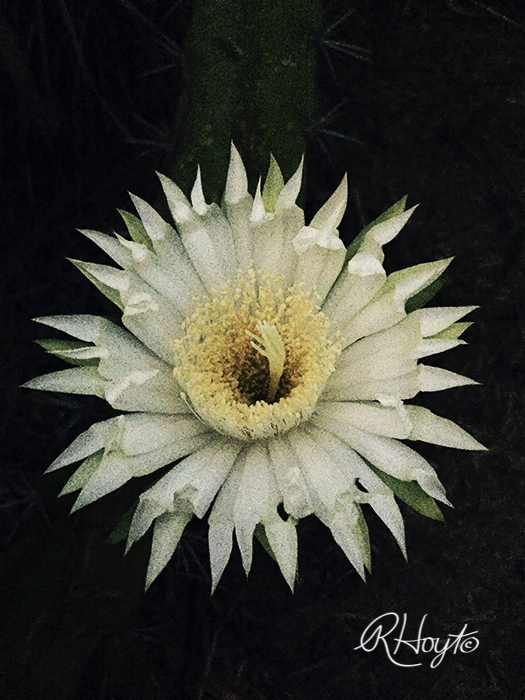 I went out awhile ago with my iPhone 6+ and was delighted to discover one of the first Night-blooming Cactus of the season. It was only 8:45pm, but it was in full bloom! I’m attaching a photo I took of it, hand-held, with my phone camera. It’s somewhat noisy and I could probably do a better job with my DSLR, but I wanted to enjoy the moment of discovery more than I wanted another photograph of a night-bloomer. I’ve got a yard full of these cacti and look forward to seeing them bloom the next several weeks! NOTE: Be sure to click on the image to see the full-sized view of the photo.